Is Shade 82 (Champagne Fizz) right for you? 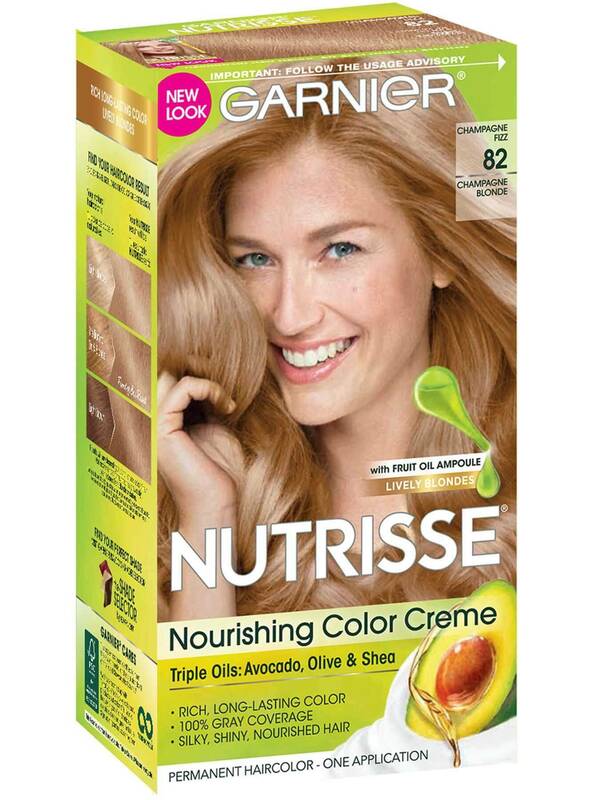 Garnier Nutrisse Champagne Blonde 82 (Champagne Fizz) is a medium blonde shade with iridescent, burgundy reflects that create a champagne tone. Your results will be perfectly balanced--not too warm or too ashy, with 100% gray coverage. This shade is best for anyone with natural hair between light blonde and light brown. If you would like a similar shade that is lighter, try shade 111 (White Chocolate). For a darker option, try shade 72 (Sweet Latte). If you would like to remain in the medium blonde range but would like to explore other reflects and tones, shade 80 (Butternut) or 83 (Cream Soda) might be for you. *For women with currently color treated hair, there are special considerations for the color result you can achieve. Because of this, we do not recommend shade 82 (Champagne Fizz) for hair that has been previously colored Light Natural Brown 60 (Acorn) or darker. For more help, use our Shade Selector Tool to find the perfect shade for you! Nutrisse Colorant: Aqua/Water, Cetearyl Alcohol, Propylene Glycol, Deceth-3, Laureth-12, Ammonium Hydroxide, Oleth-30, Lauric Acid, Hexadimethrine Chloride, Glycol Distearate, Polyquaternium-22, Ethanolamine, Silica Dimethyl Silylate, Ci 77891/Titanium Dioxide, M-Aminophenol, Ascorbic Acid, Sodium Metabisulfite, Hydroxypropyl Bis(N-Hydroxyethyl-P-Phenylenediamine) Hcl, 2-Methylresorcinol, Dimethicone, Pentasodium Pentetate, P-Phenylenediamine, Parfum/Fragrance, Carbomer, Resorcinol, Vitis Vinifera Seed Oil/Grape Seed Oil. F.I.L. D37162/2. Fruit Oil Concentrate: Paraffinum Liquidum/Mineral Oil, Vitis Vinifera Seed Oil/Grape Seed Oil, Parfum/Fragrance, Tocopherol, Rosmarinus Officinalis (Rosemary) Extract. F.I.L. D25829/5. Rinse-Out Conditioner: Aqua/Water, Cetearyl Alcohol, Elaeis Guineensis Oil/Palm Oil, Behentrimonium Chloride, Pyrus Malus Extract/Apple Fruit Extract, Glycerin Parfum/Fragrance, Stearamidopropyl Dimethylamine, Niacinamide, Pyridoxine Hcl, Butyrospermum Parkii Butter/Shea Butter, Citric Acid, Olea Europaea Oil/Olive Fruit Oil, Saccharum Officinarum Extract/Sugar Cane Extract, Benzyl Alcohol, Chlorhexidine Dihydrochloride, Persea Gratissima Oil/Avocado Oil, Ribes Nigrum Oil/Black Currant Seed Oil, Linalool, Citrus Medica Limonum Peel Extract/Lemon Peel Extract, Ci 19140/Yellow 5, Camellia Sinensis Extract/Camellia Sinensis Leaf Extract, Ci 15985/Yellow 6. F.I.L. D35637/3. Nutrisse Developer: Aqua/Water, Hydrogen Peroxide, Cetearyl Alcohol, Trideceth-2 Carboxamide Mea, Ceteareth-25, Glycerin, Pentasodium Pentetate, Sodium Stannate, Tetrasodium Pyrophosphate, Phosphoric Acid. F.I.L. D12836/26. Rated 5 out of 5 by Reneriffic from Love it ! Love the Improved Chapagne Fizz&Blonde I was at the point of going back to the salon to have the professionals do my hair, but I took a chance since I could no longer find the #82-Champagne Blonde, I went ahead and purchased the #82 Champagne Fizz/Champagne Blonde. I have to say that I LOVE this one much better. I went to the hair salon, and the Beautician even commented how nice the color was. So guess, I'll be saving a few buckaroos and keep on doing it myself. 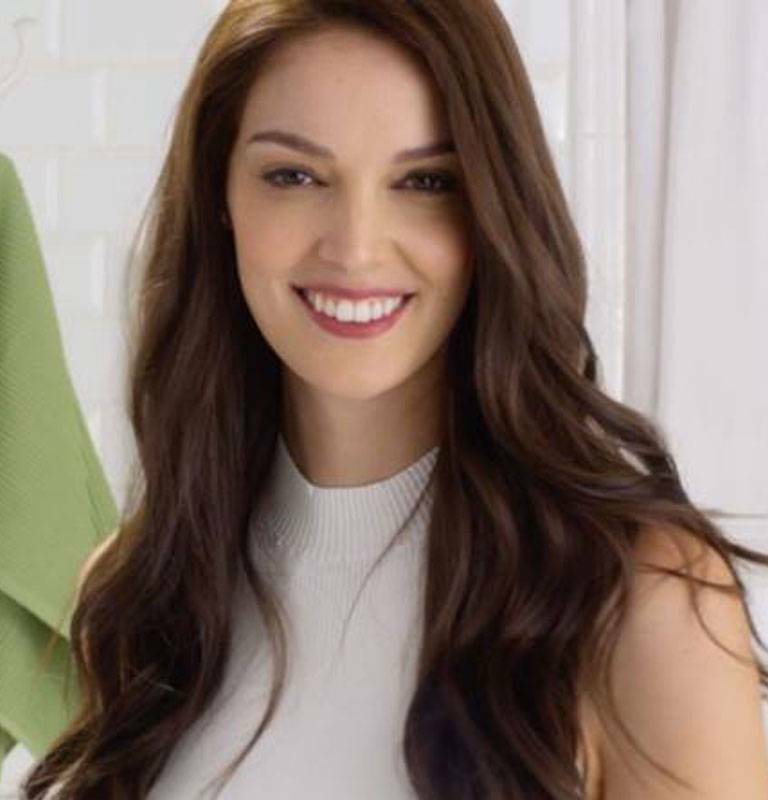 Thank you Garnier! Love the color, Love the softness. Keep on doin what you're doin! Rated 2 out of 5 by Briana1222 from terrible I bought this 2 weeks ago, my roots were the only thing colored. I thought I didn't have enough product so I made my boyfriend go get me another. My ends NEVER got any color. I look ridiculous, I have a light brown color. Rated 2 out of 5 by arjpc1 from This turns more red than blonde I dyed my daughters hair because she wanted a lighter color blonde than she had. Her hair color is within the colors on the side of the box but it turned her hair into more of a strawberry blonde with brassy roots. Rated 4 out of 5 by Kristenjog3 from Perfect Dont ever get rid of this shade. Its perfect for me. Rated 1 out of 5 by Andreaaa from Do not buy! While it smells great, this is a terrible product!! It did not change my hair except for my roots. My roots turned out ORANGE!! It looks terrible and I am not sure what to do. Rated 5 out of 5 by PrettyInkedLo from champagne blonde I love this color and product. This product is easy to use and the end result is beautiful. Rated 5 out of 5 by CurlyKitty99 from Great color I started off with my natural roots (light/medium brown) and blonde ends from a previous color. I mixed this color Champagne Blonde with some red gold corrector, left it on for 25-30 minutes and it came out great! 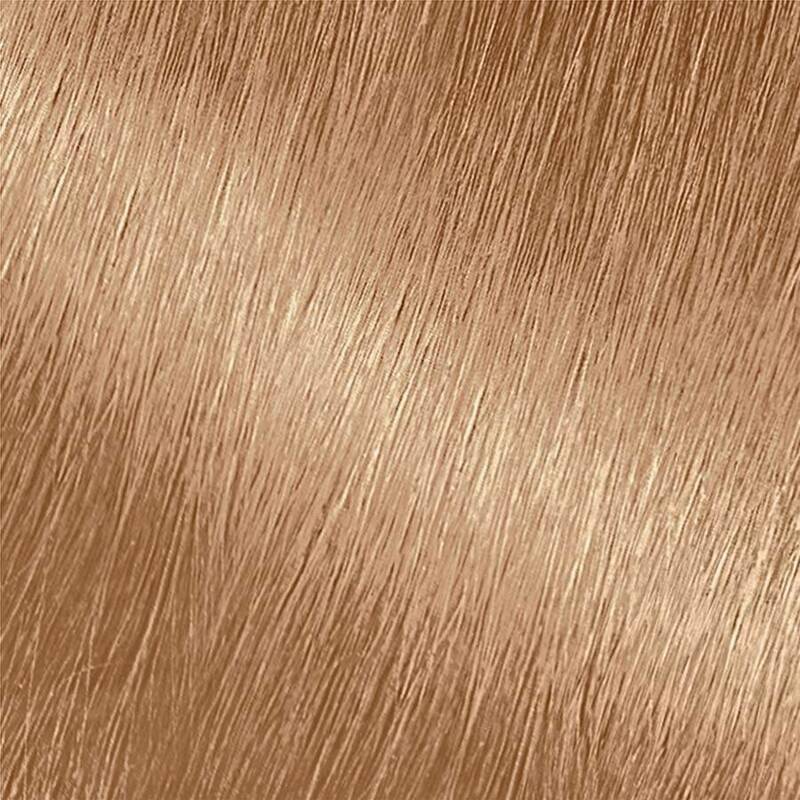 A nice sandy blonde color, perfect as a base for highlights or a stand alone color. Very natural looking, too. This is my new go to hair dye!